Imagine this: soft, sandy beaches, warm, clear water, a colourful array of tropical fish surrounding you… But you can’t enjoy any of it because your rental mask doesn’t fit properly and starts leaking the moment you are submerged in water! You asked for a replacement, but they are all the same! Now you are kicking yourself for not buying your own mask to bring with you! Everyone loves an escape to the tropics. Calm quiet relaxation, nothing to worry about, chilling on the beach, and most importantly – exceptional snorkelling and diving. The last thing you want is something silly like ill-fitting equipment to ruin your holiday. Unfortunately, the gear you get on loan at most resorts, or from snorkelling rentals and tours is basic, and somewhat of a one size fits all – especially when it comes to masks. Although a leaky mask is not life threatening, it is a constant – and avoidable – annoyance. Yet so easy to come up with a simple solution! No matter what your baggage allowance, a mask and snorkel are small items that can be easily slipped into a carry-on bag if needed! It pays off to have tried a few on, found something that is fitting and adapted to your face shape, and that you know is going to be comfortable and a reliable piece of kit. Come on by the Dive HQ shop and we can show you both our full dive mask range, as well as our mask and snorkel sets. Knowing how to correctly test a mask for size and fit is easy, yet important. Firstly, you want to be trying the mask on without using its strap. Flip this over the front of the lenses so it is not in your way. Place the mask on your face, making sure there is no hair in the way and ensuring a snug fit with no gaps between the silicone skirt and your face. Take a breath through your nose and hold it. The mask should sit on your face, forming a seal that prevents it from falling away. If it holds and you can feel the suction as you pull it away from you, you have a good fit. If it falls straight off your face while you are still breathing in, then there are too many gaps between your face and the mask skirt. If you can hear air hissing, this may also indicate an air space. This means the mask isn’t suited to your shape and that water would leak in. Try a different size and shape model mask until you find one that is comfortable. We can help you find the perfect mask for you. 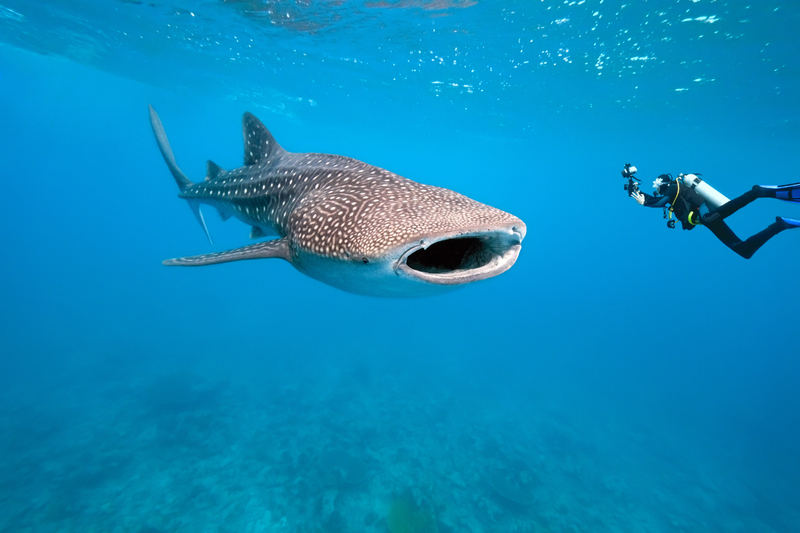 Now imagine this: Someone spots the whale shark you have been wishing for all day long. Without hesitating, everyone pulls on their masks, fins and snorkels and jumps in. 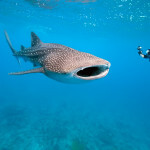 You start to kick, trying to keep up, but the fins that the tour company provided are useless, you are getting nowhere! Just to add insult to injury, they rub on your heels too. Despite your best efforts, all you see is the swish of a tail… Next year you will be buying your own gear to bring with you! Depending where you are going and what you intend to do, you may be wanting fins. 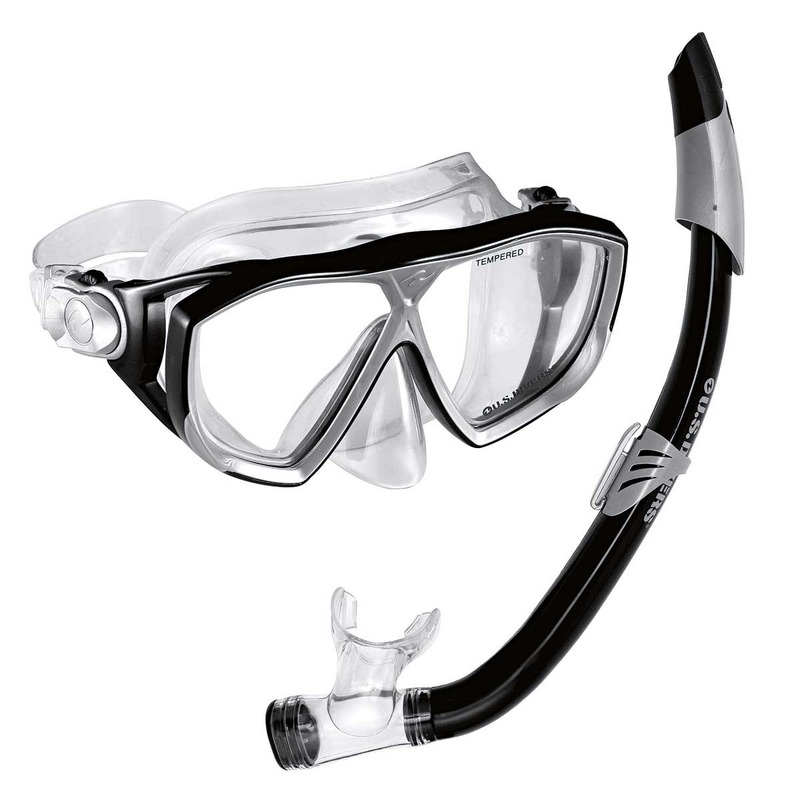 They make the experience of snorkelling a much more enjoyable one, enabling you to move more easily through the water, gain more speed, and cover more ground. You will notice how they come into their own when you spot a turtle a little way away that you want to get a closer look at! In tropical climates, you will find that lots of outfits provide you with full foot fins. Make sure you get a pair that fit you well to avoid rubbing and blisters. Consider the activity you will be undertaking (diving, snorkelling…) and whether the fins are adequate to withstand the conditions. 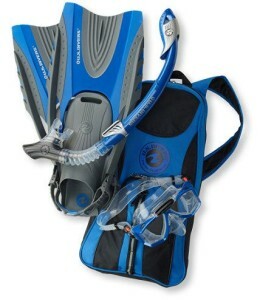 It is never a bad idea to arrive equipped with your own basics, this includes fins. We offer snorkelling packages, complete with mask, snorkel, and small, light, travel friendly fins! Come on in and let us show you what would work best for your situation. We have sets for both adults and children, so the whole family can join in the fun!